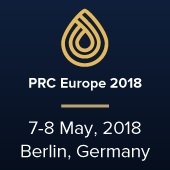 At PRC Europe 2018 new technologies and solutions will be presented on the focus-exhibition by the leading service providers of the market. The special focus this year is driven to process safety, automation, OpEx, asset management and new regulations. A senior operations engineer from TOTAL Raffinerie Mitteldeutschland GmbH will present a case study will present a case study of a pilot project from akvola Technologies.